Arctic Fabrications - Blacksmith/Ironwork based in Blaydon-on-Tyne, Tyne and Wear. 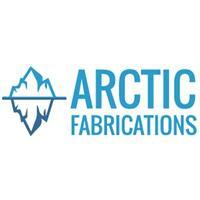 Arctic Fabrications is a family run steel fabrication company based in Newcastle in the North East of England with over 25 years of experience. We offer all aspects of work from garden gates to structural steel for steel buildings. We fabricate stainless steel extraction canopies for the catering industry. Handrails with glass infills and bodys for recovery vehicles, We make anything from mild steel such as fire escapes, internal staircases, stainless steel manafolds, exhaust systems and aluminium welding. We also install the finished product on site. No job is to small. My name is Bryon Rowlinson and i hope that we will hear from you soon.